RV PARKING. Separate fenced area with double gate. Renovated basement entry. 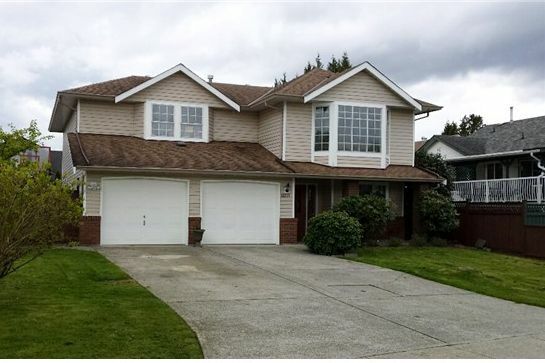 It doesn't get any better than this 3 bedrooms, 1 den and 3 bathrooms in a great location in Maple Ridge. Enjoy the spacious kitchen with a massive island that opens up to a great room. This well cared for home offers formal living room with a gas fireplace and dining room or great room for those special family occasions. Newer appliances, updated kitchen counters and brand new island, new flooring, decorator paint, fully fenced private yard with play house, covered patio, double car garage, and mature landscaping. Extra parking and a dog kennel round out the package. It's a must see!